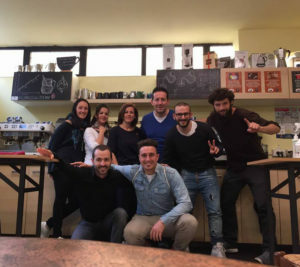 An one day long, very intense course cutted for who is entering into the barista profession and wants to do it with the right knowledge, as well as for how is discovering the magic of coffee as home barista. 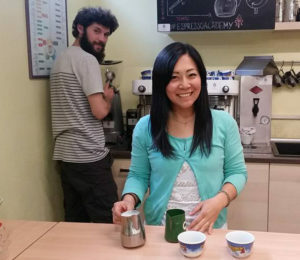 We start from the knowledge of the coffee blends to the maintenance of machines, coffee grinding and blending, espresso, cappuccino, latte macchiato, latte art, the iced “espresso shakerato” and more. The course is one day long, from 10 am to 5.30pm. This course is held in Florence, Tuscany, Italy, a few minutes of tram from the main train station of Santa Maria Novella. What is coffee, a bit of history and, knowledge of the different species : Arabica, robusta and other hybrids. The coffee process: picking, stripping, mild and dry method. Introduction to roasting and blending. Visit to a roasting plant. Tasting of a good and a bad espresso, tasting different arabicas and robustas, finding differences. The preparation of espresso , dosing, grinding and tamping. The Cappuccino in theory and in practice. 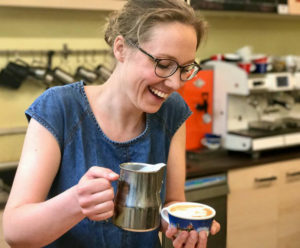 Milk frothing: the SCAE standards, more or less frothy, more or less hot. The classic Italian preparations: latte macchiato, caffèlatte, espresso macchiato , shaked coffee etc. Knowledge and cleaning of the espresso machines. Descaling, backflushing, cleaning of the grinder. 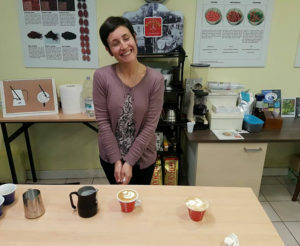 To this basic course is possible to join a second day which examines the world of advanced espresso and barista competitions. What are the barista and latte art championships. Regulation and competitions. 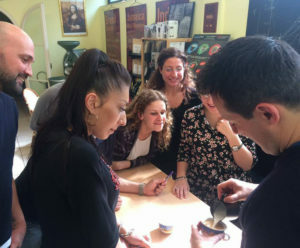 Introduction to professional coffee tasting: the SCAE evaluation boards, testing of several coffees in single origin, from Mexico Altura to Java to the spicy taste of the Ethiopian Sidamo. 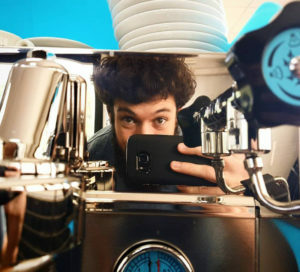 Practical test machine: find the right grinding degree and make a correct espresso. 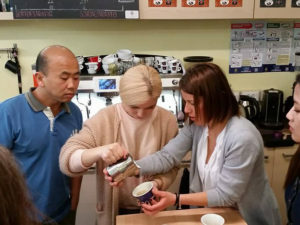 This course is part of “One week coffee route” a complete journey in the world of coffee that includes days dedicated to barista, latte art, coffee shop management, roasting, professional tasting and brewing. Read more about the coffee route! 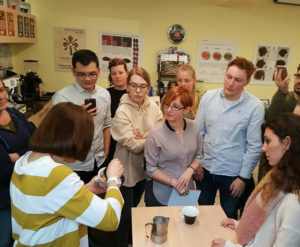 **At the end of the advanced course is possible to book a SCA certification exam for coffee introduction and barista skills foundation and intermediate. Anyone wishing to take part in the certification exams is kindly requested to report it at the time of enrolment. 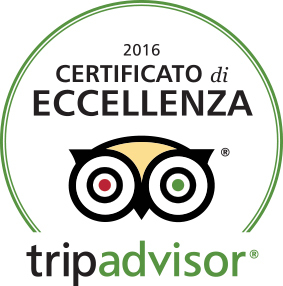 Since many years our school of Italian coffee, barista, cocktails and coffee shop management wins the Trip Advisor Certificate of Excellence! Discover the reviews written by who has attended our courses!" Our teachers are SCA certified and our courses are tailored in order to get the Certification of the Specialty Coffee Association.